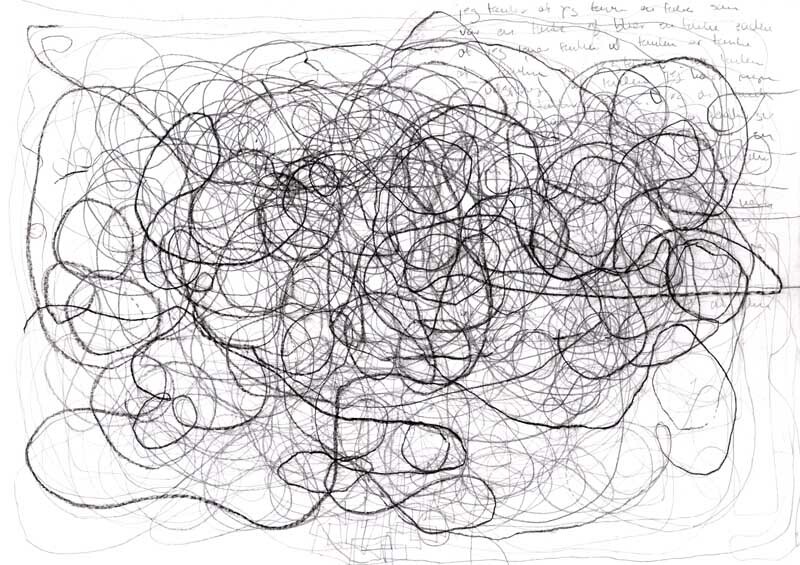 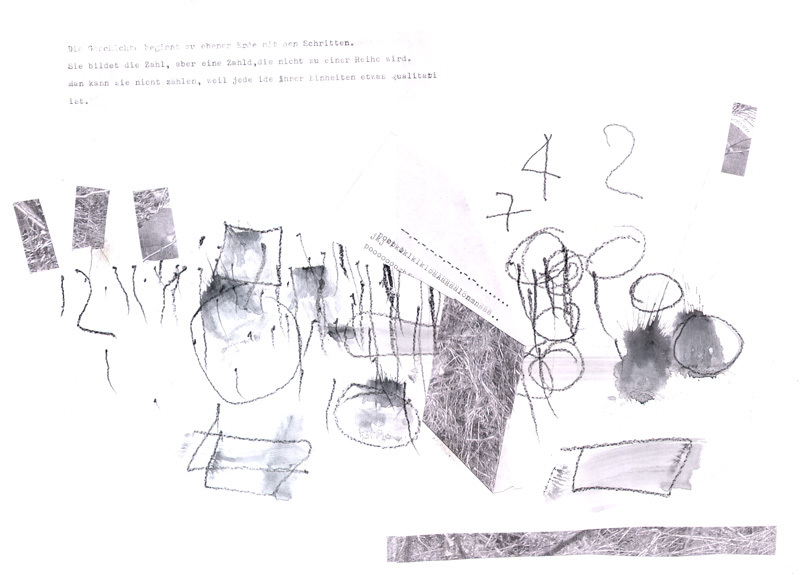 Drawings from the rehersal and research process for the performance OUT OF NOW. 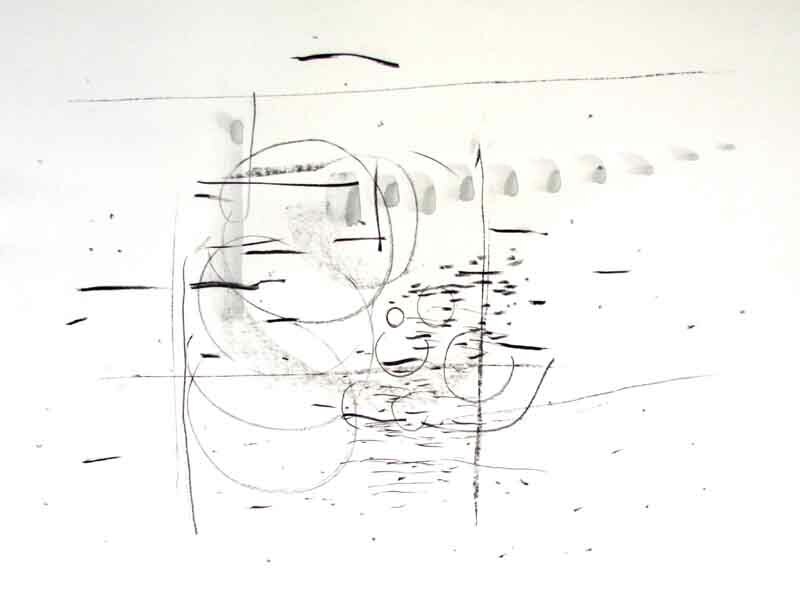 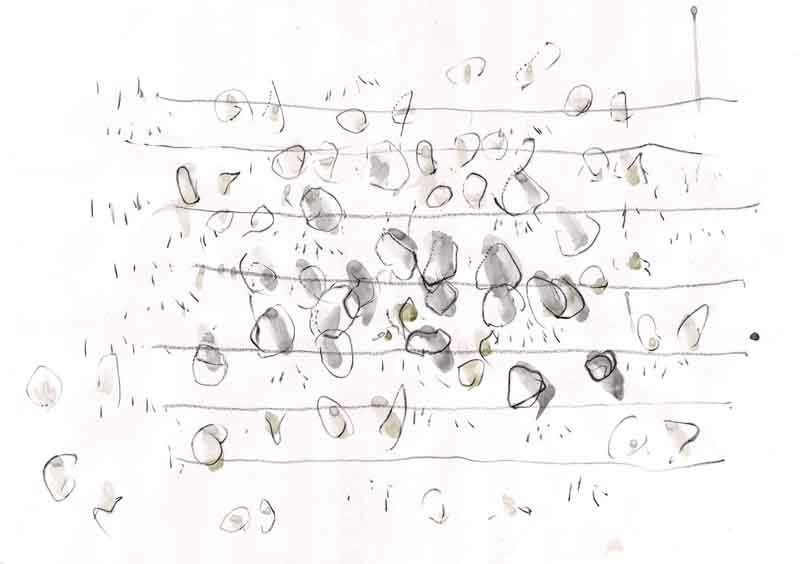 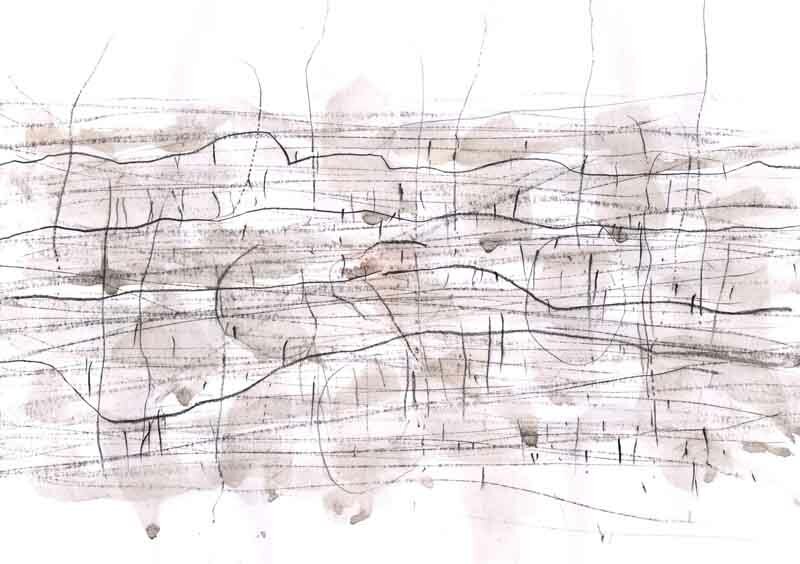 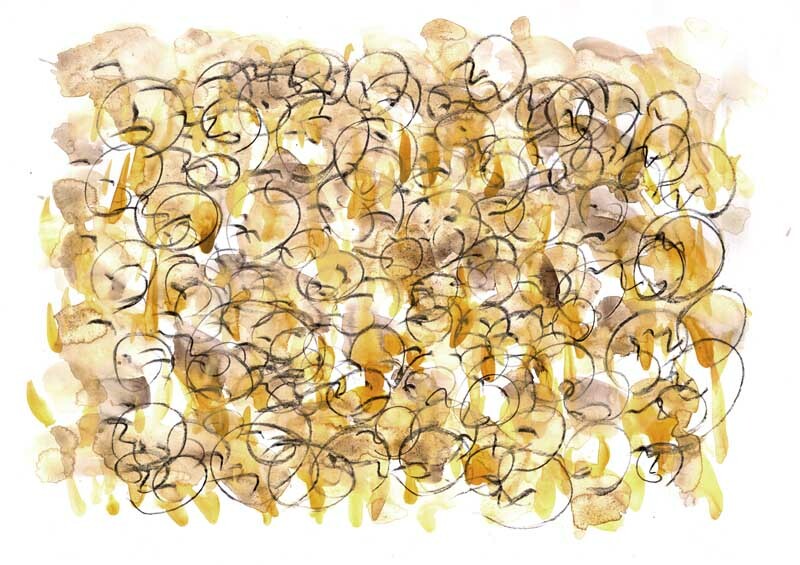 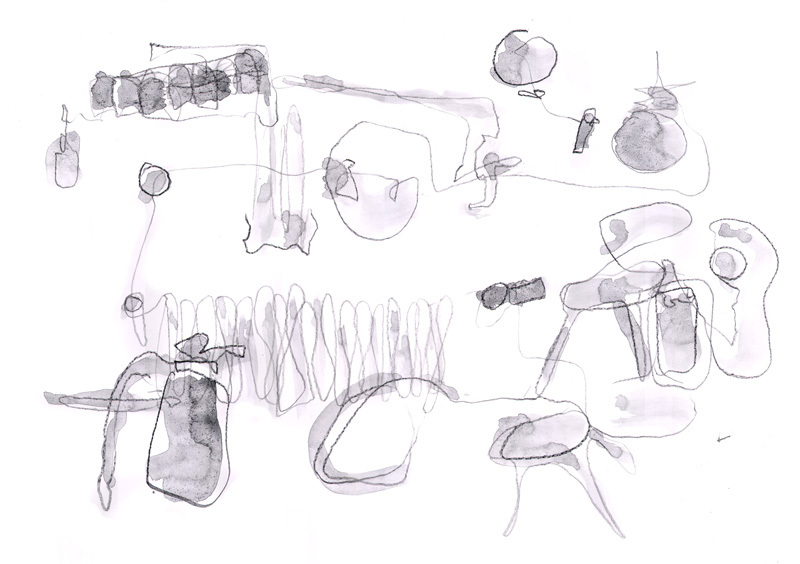 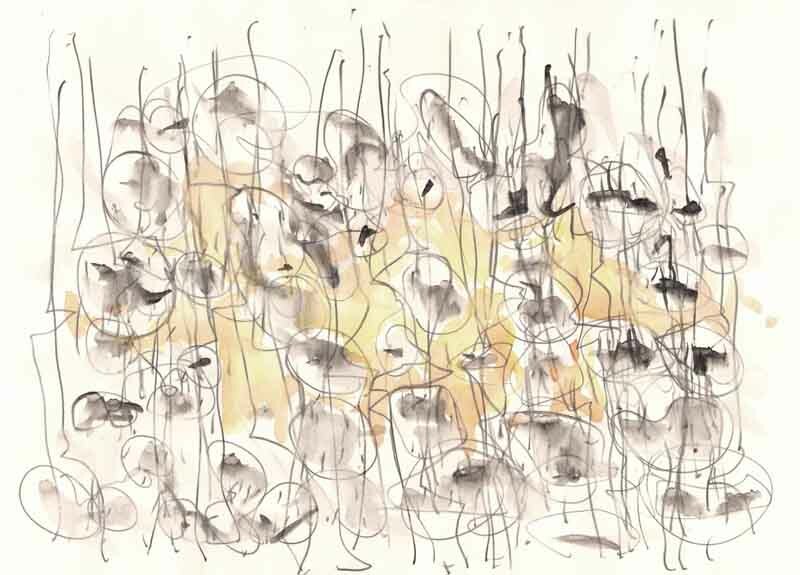 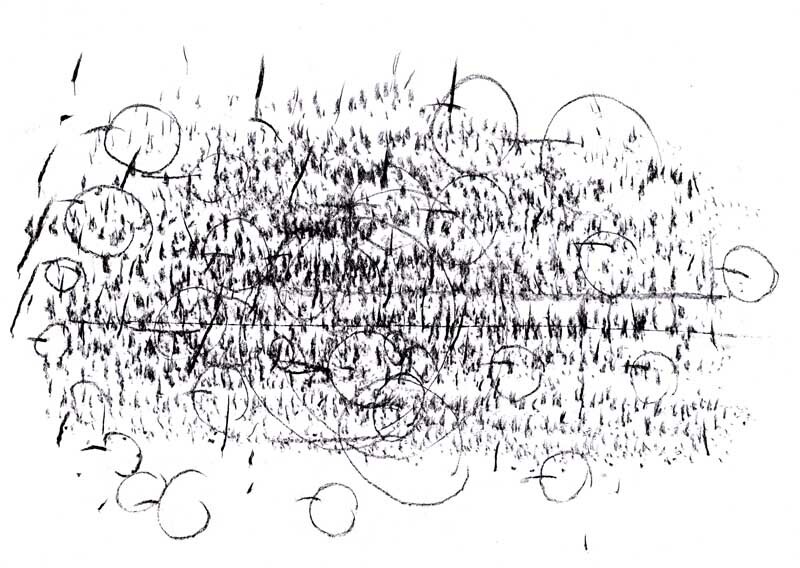 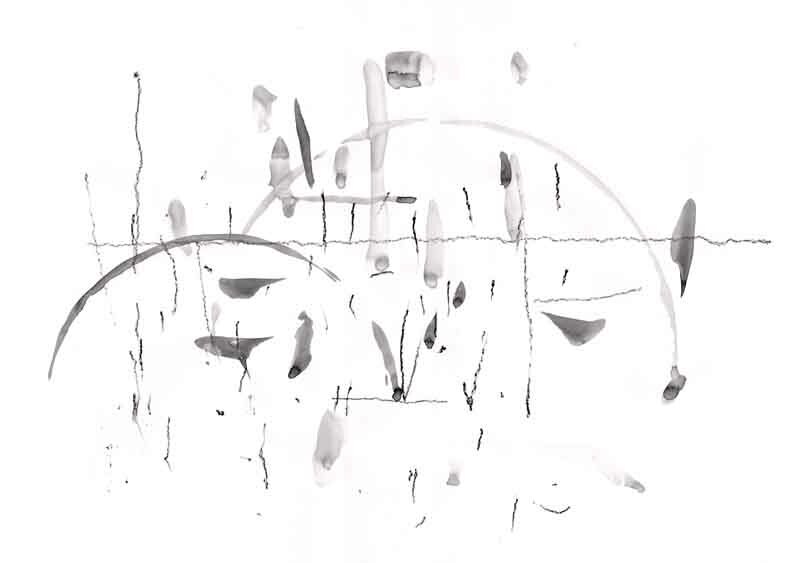 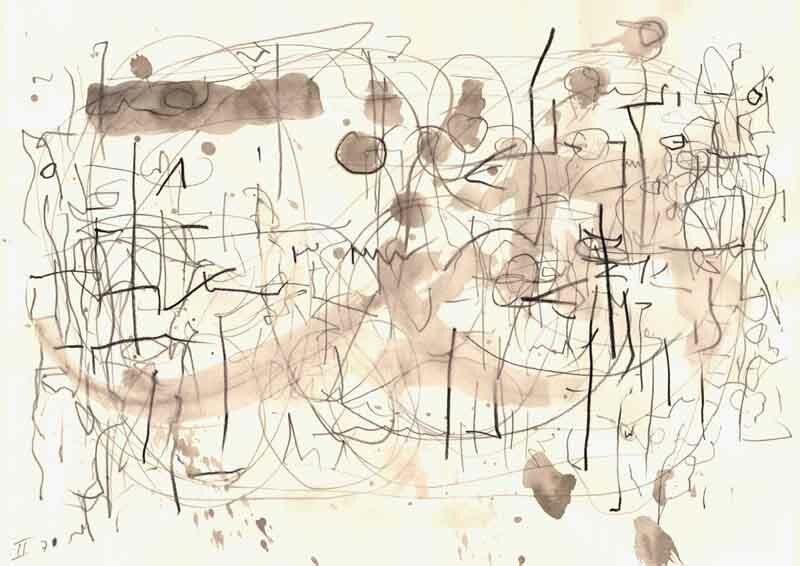 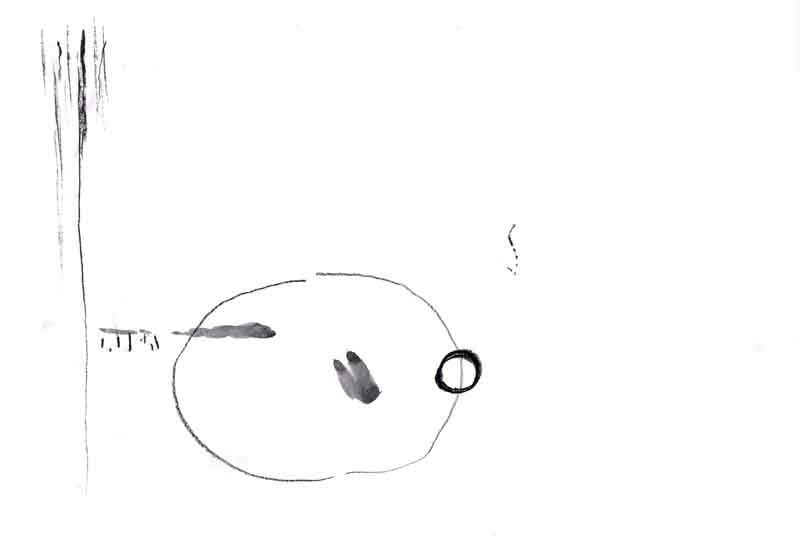 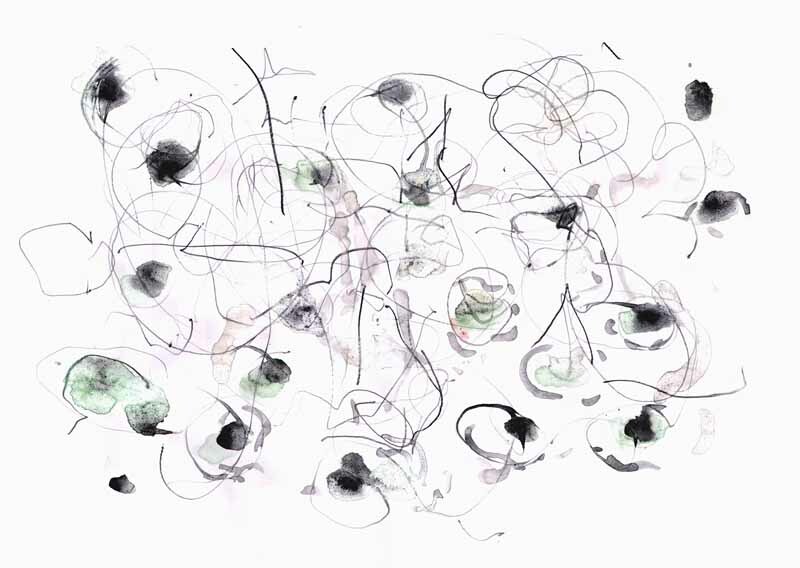 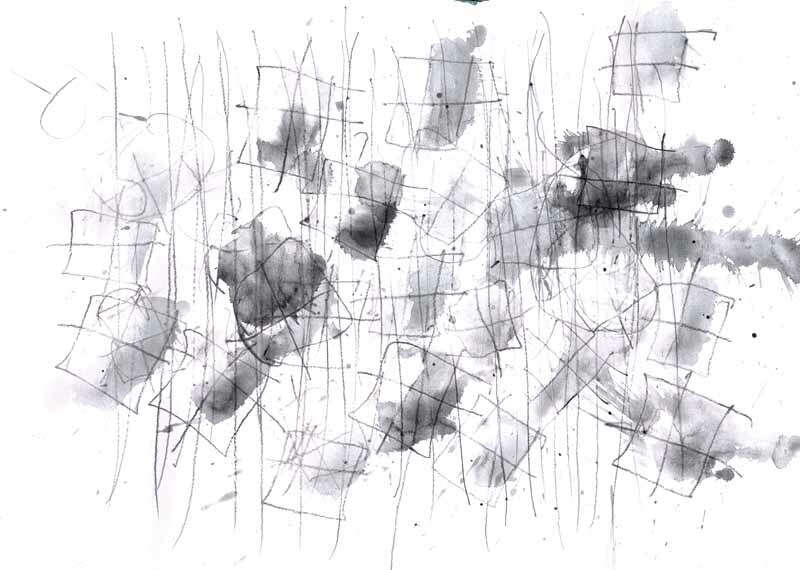 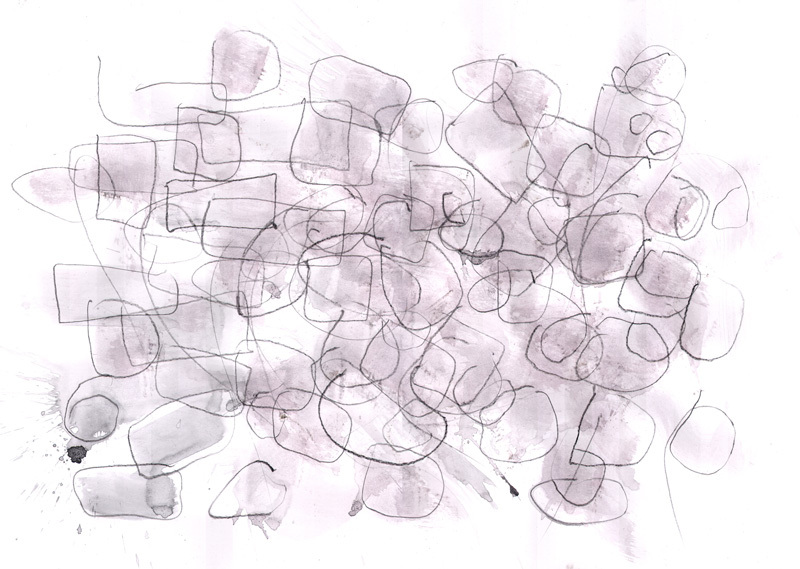 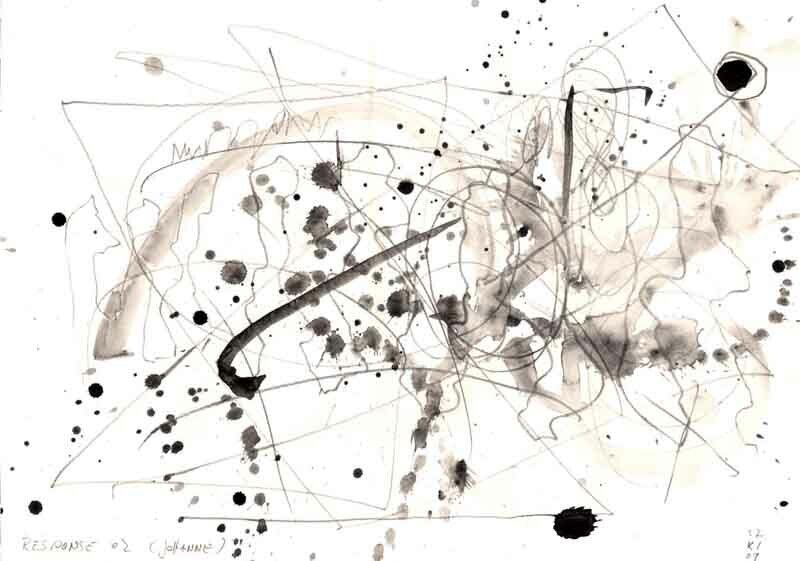 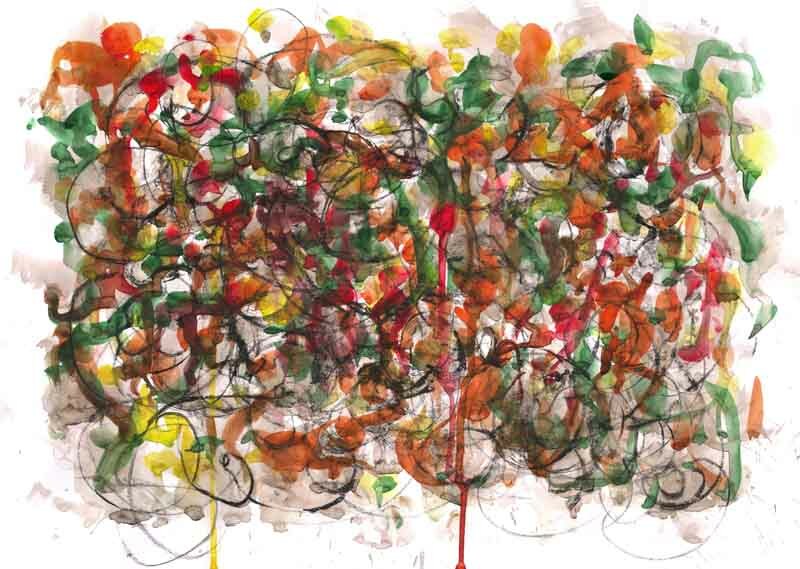 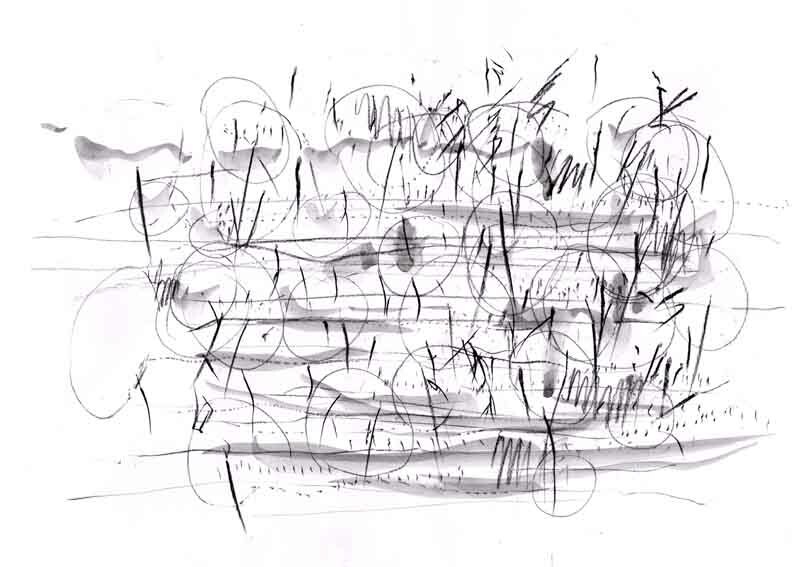 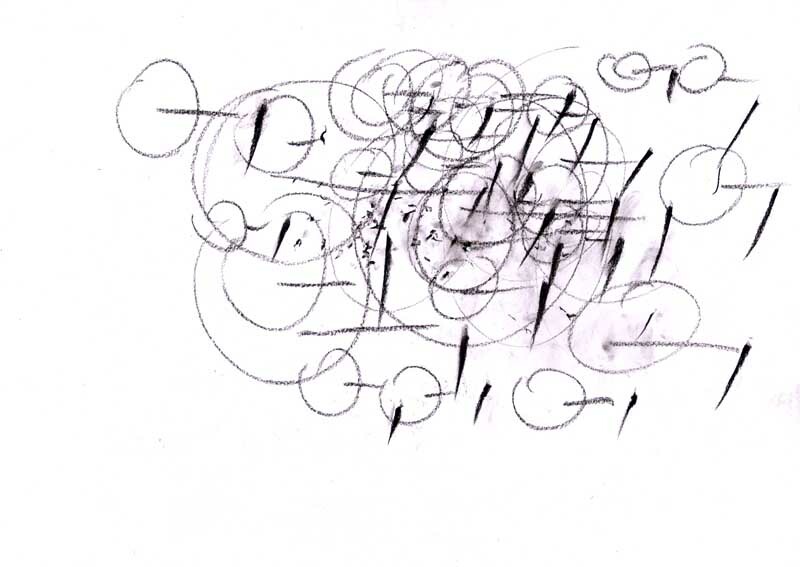 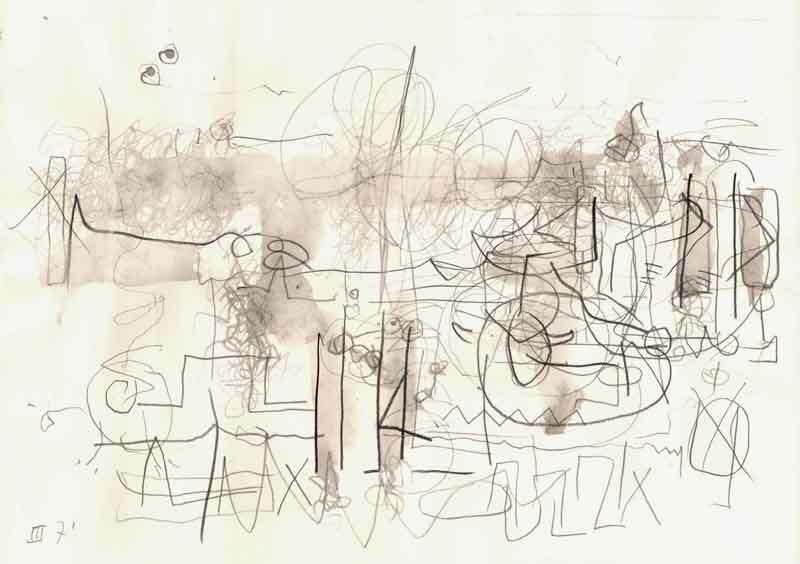 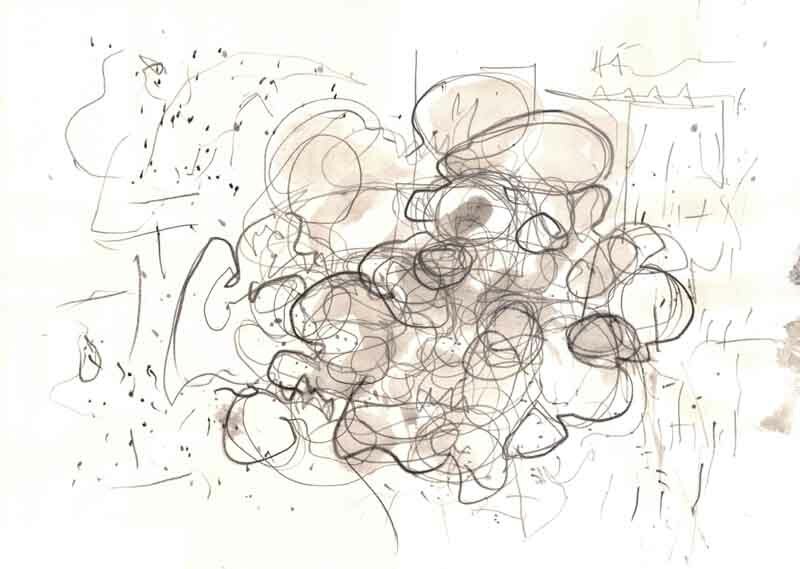 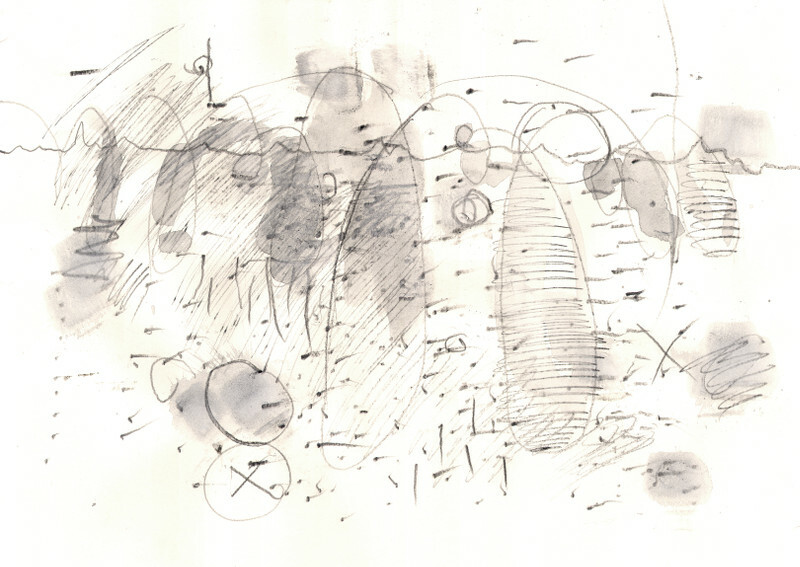 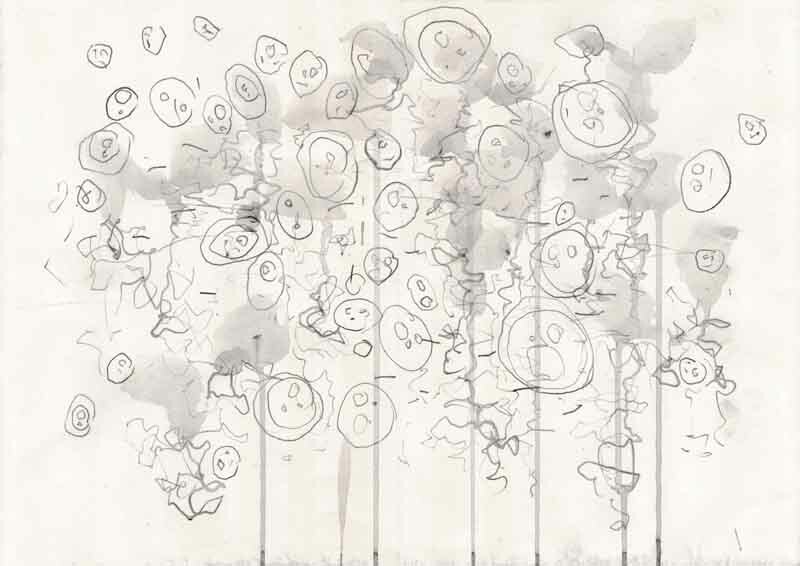 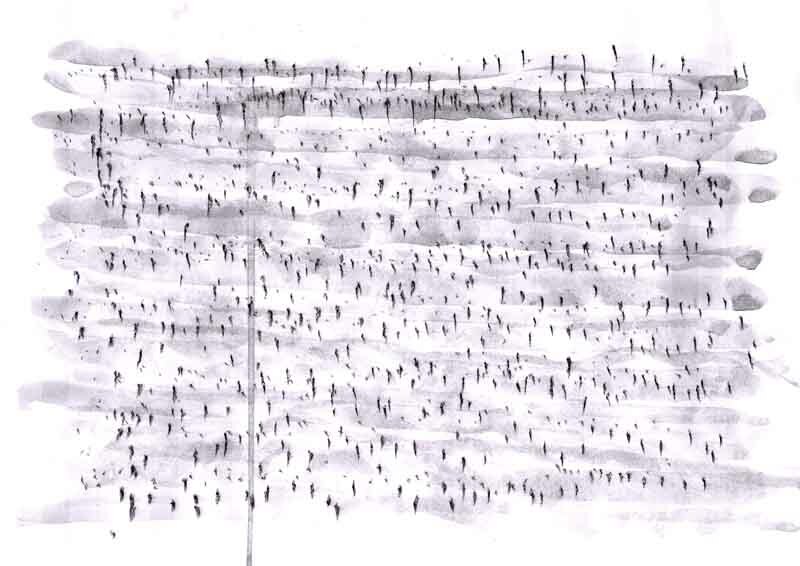 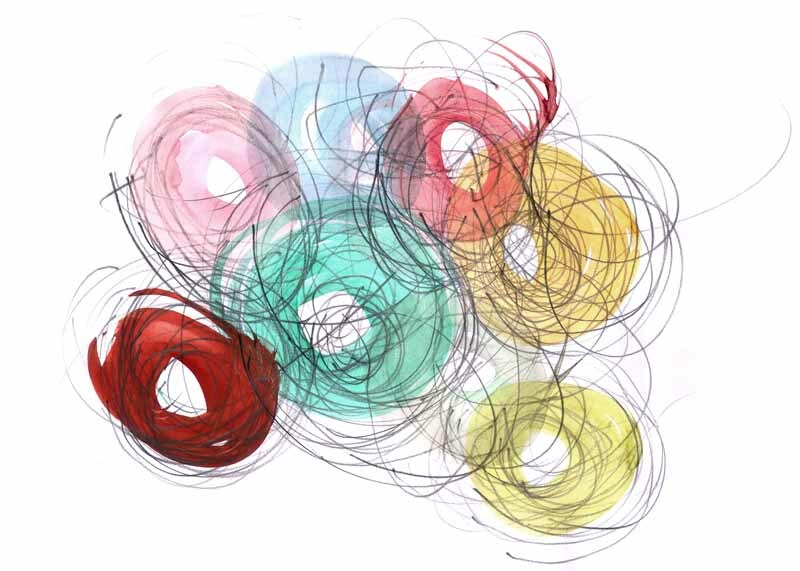 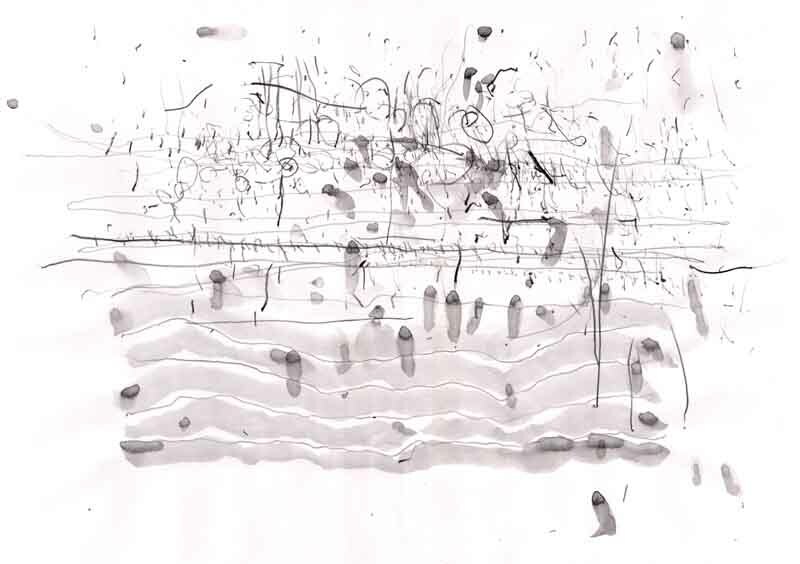 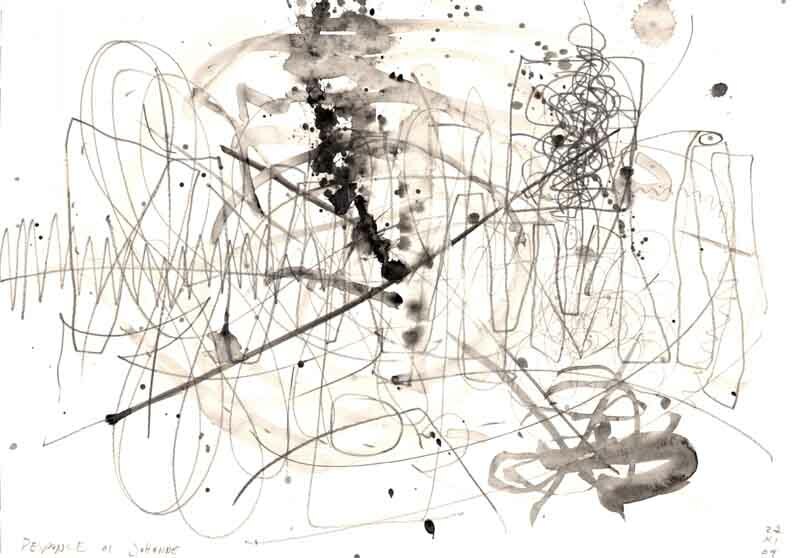 The drawings that are made during the rehersals show the graphic research about the difference between synchronous and asynchronous sequences, in a mode where single beats or pulses are the source of different qualities and textures. 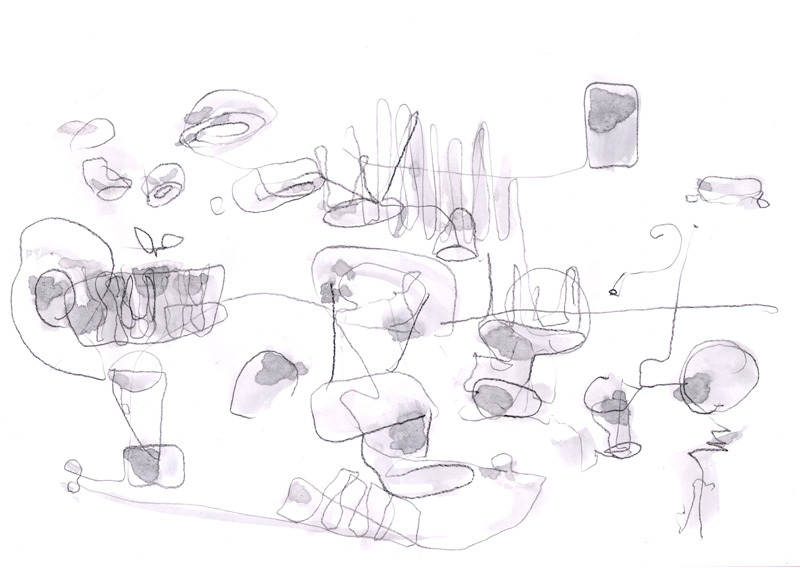 Drawings from the rehersal and research process for the performance One man’s garden is another man’s house. 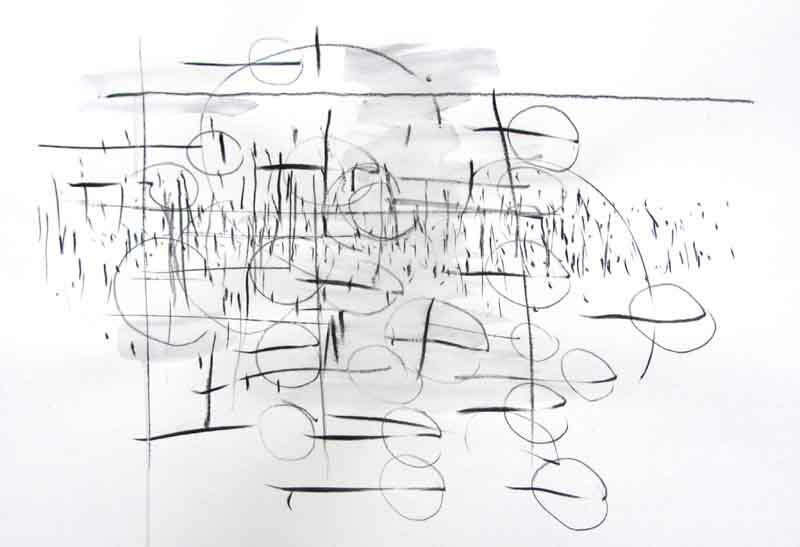 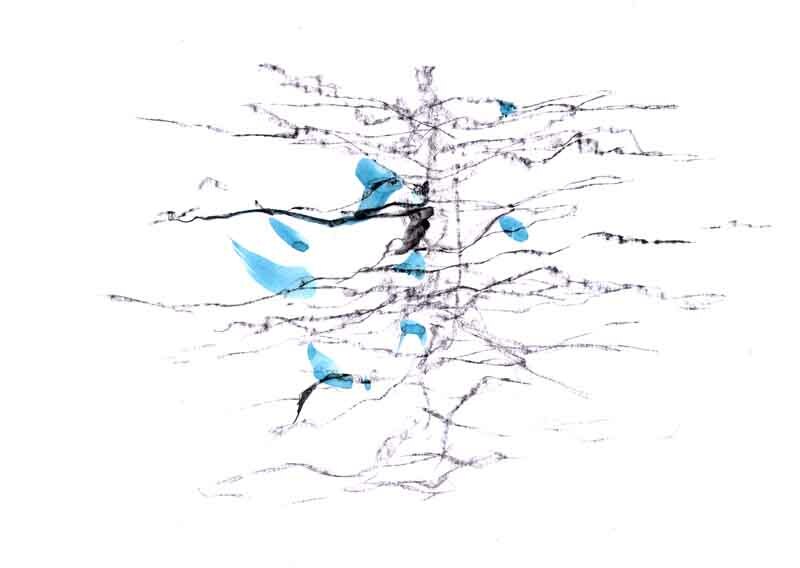 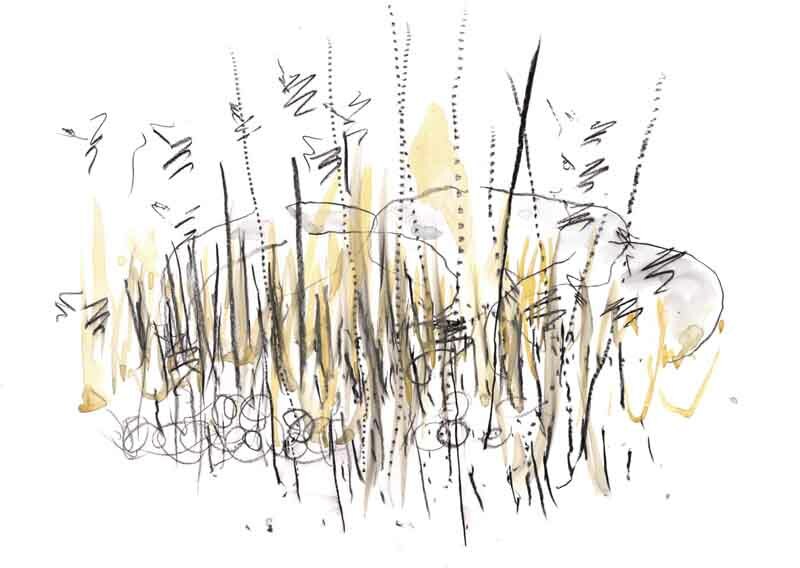 The drawings that are made during the rehersals show differnt graphic qualities and movement sequences, whitch are percieved in the urban surrounding of the Kugelbahn. 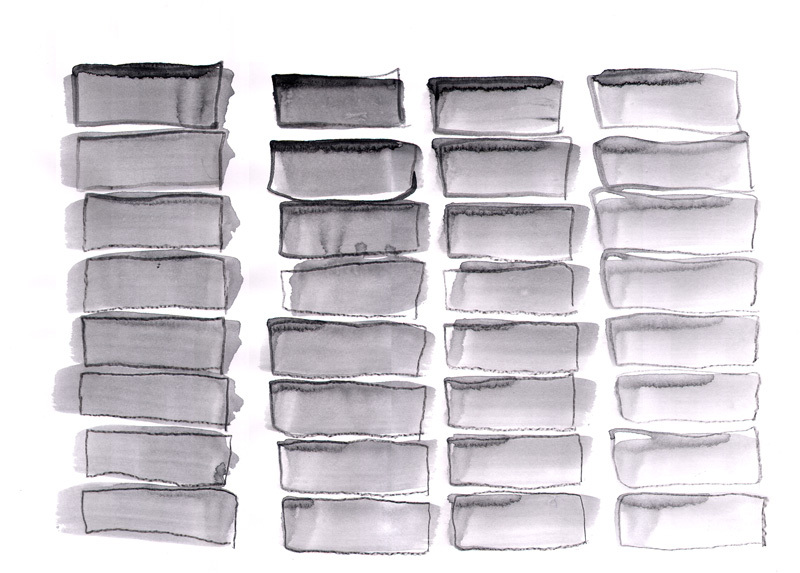 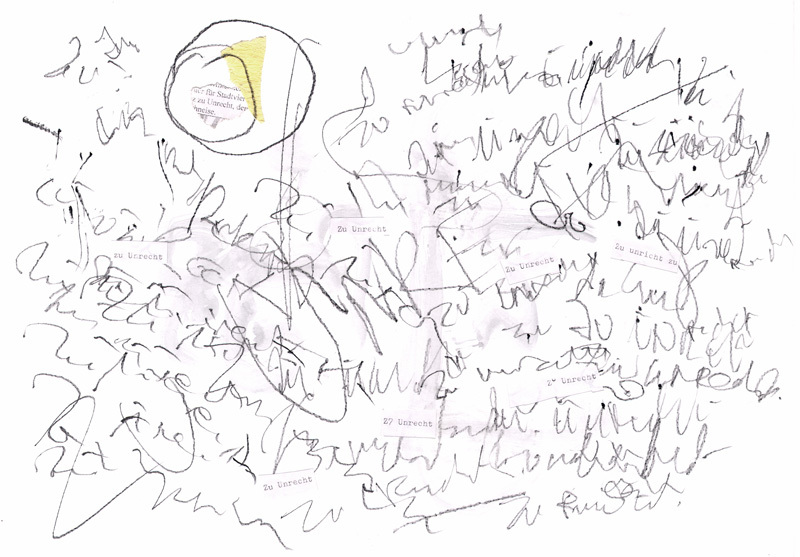 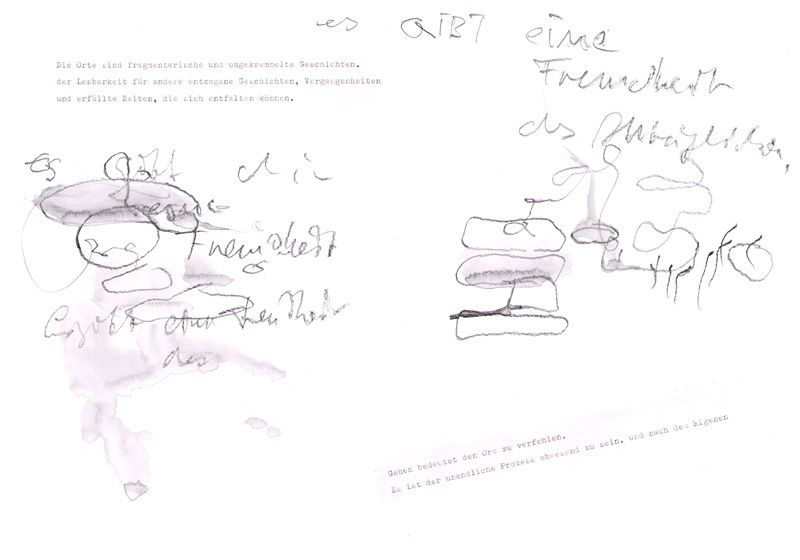 Drawings from the rehersal and researchprocess for the performance „Angeschnitten“. 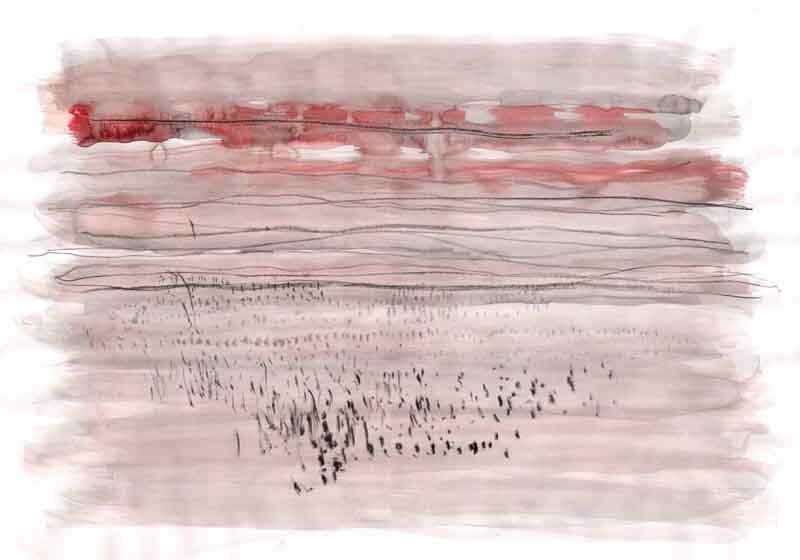 different qualities and atmospheres of the coastal landscape on the peninsula Darß. 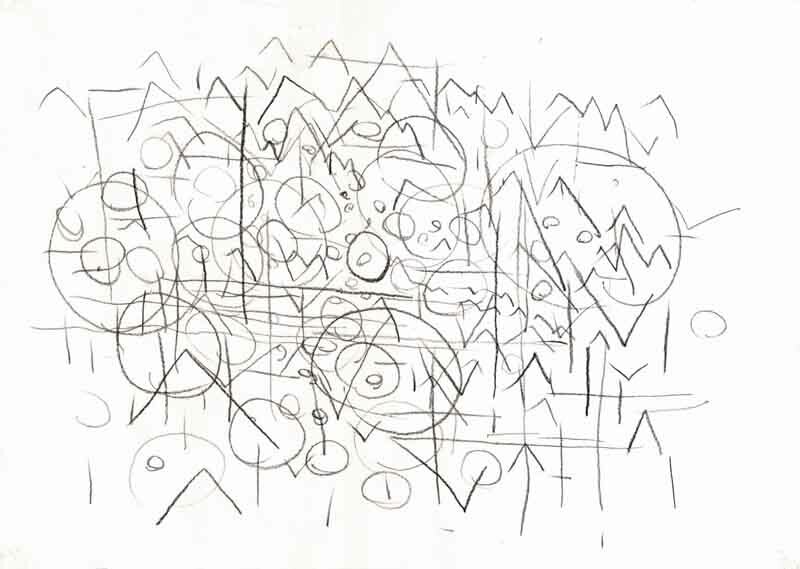 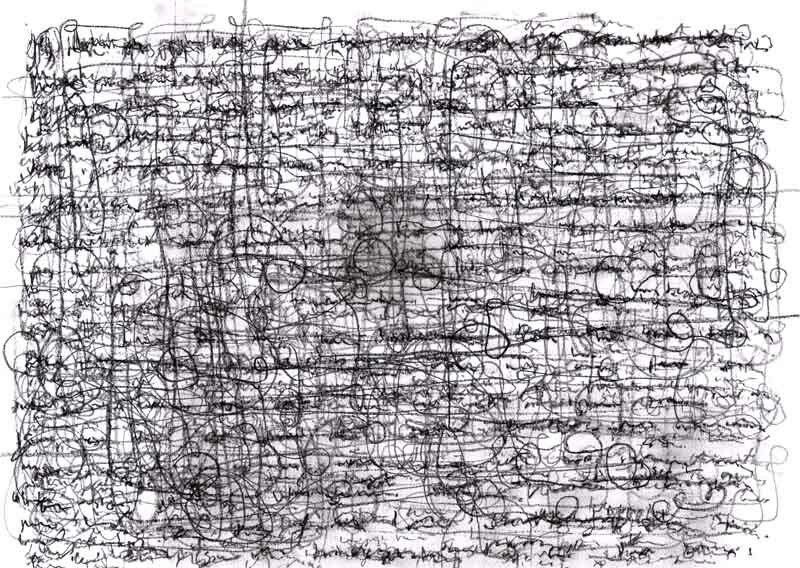 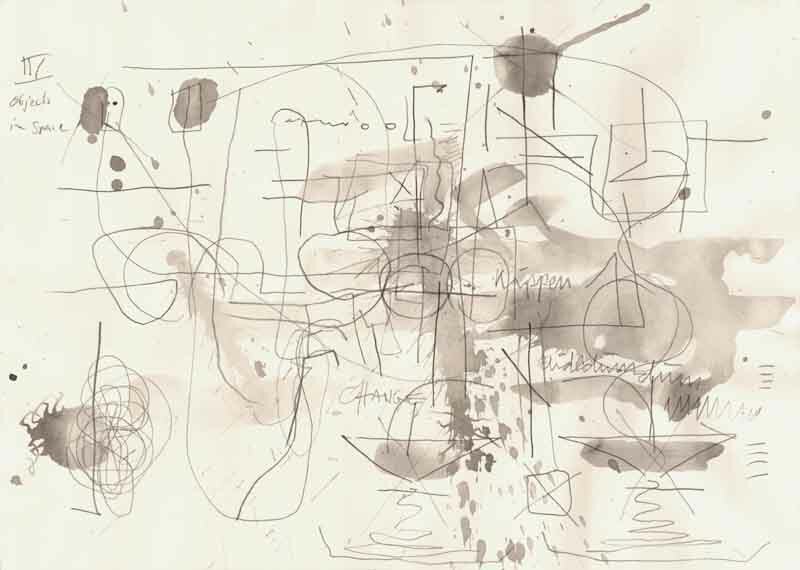 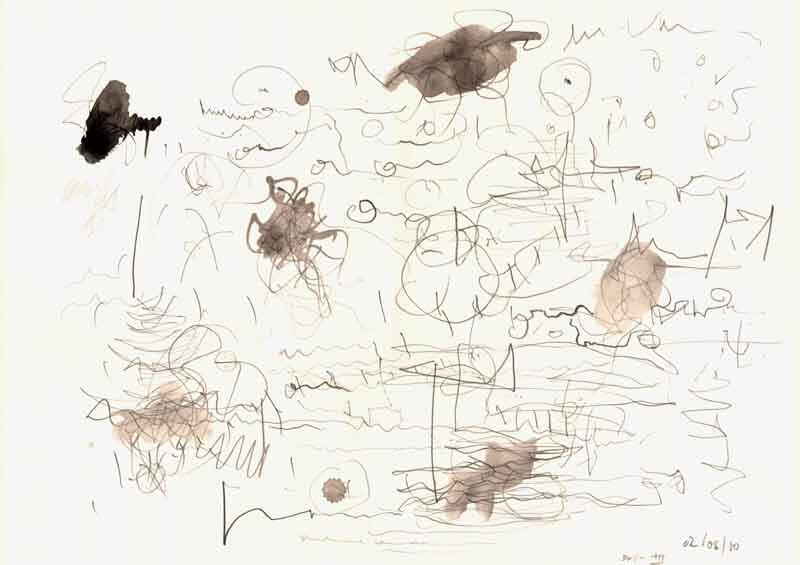 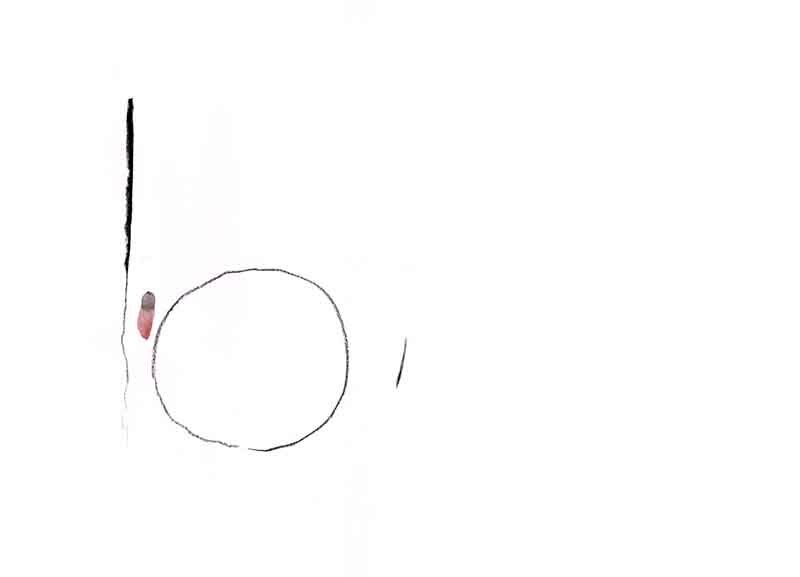 The drawings show the development of different graphic qualities out of the basic graphic elements dot, stroke, line and area. 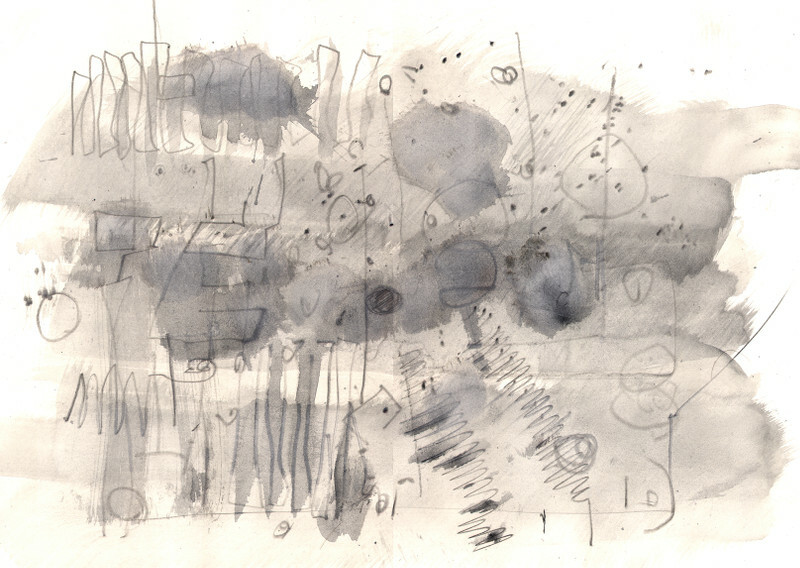 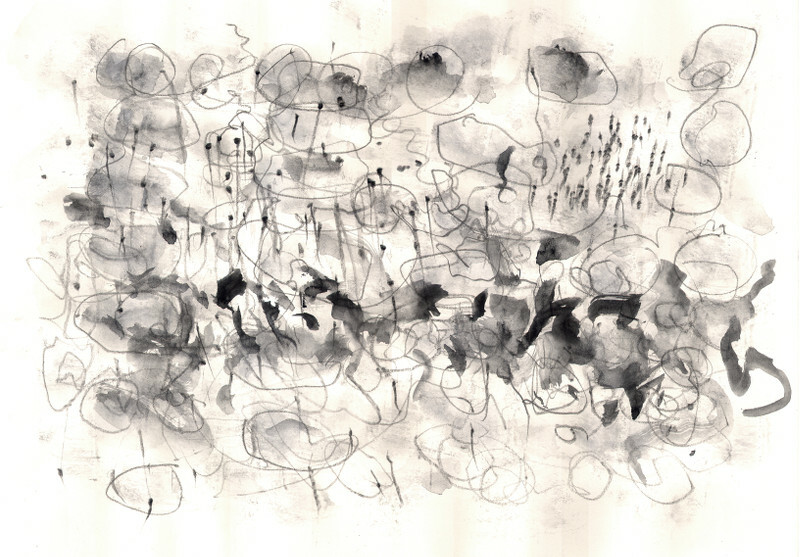 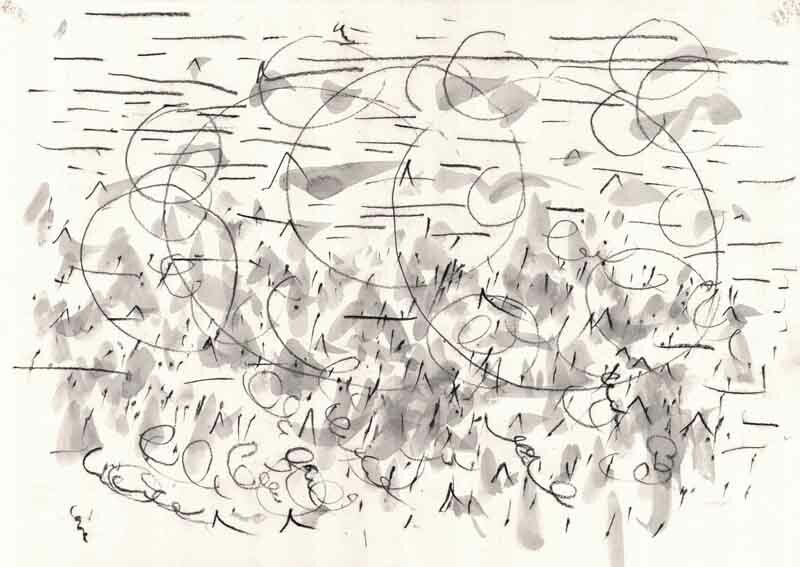 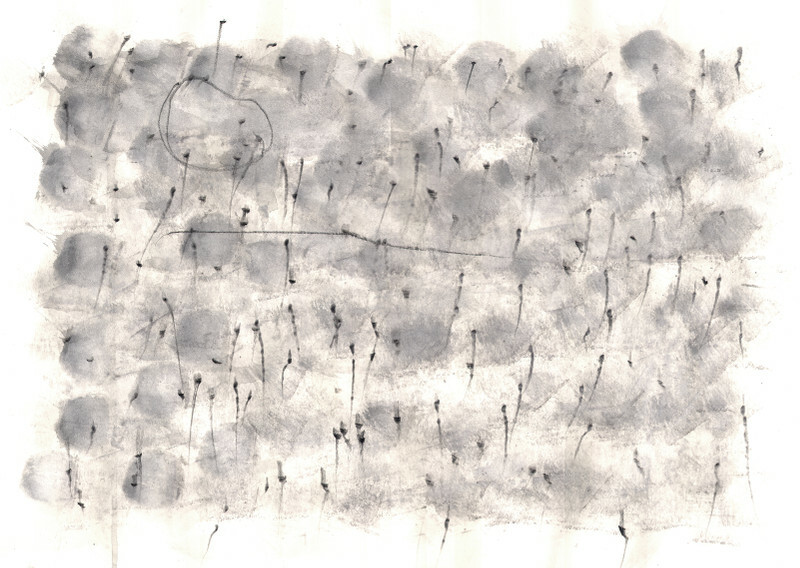 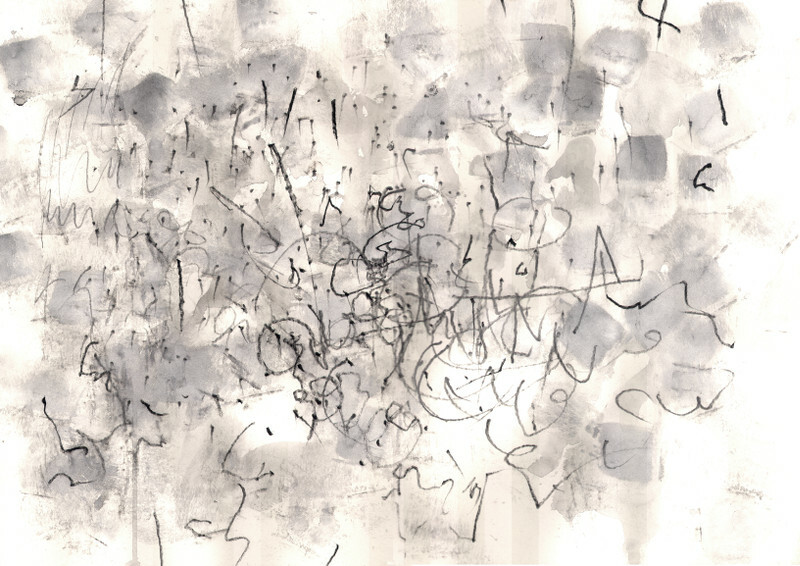 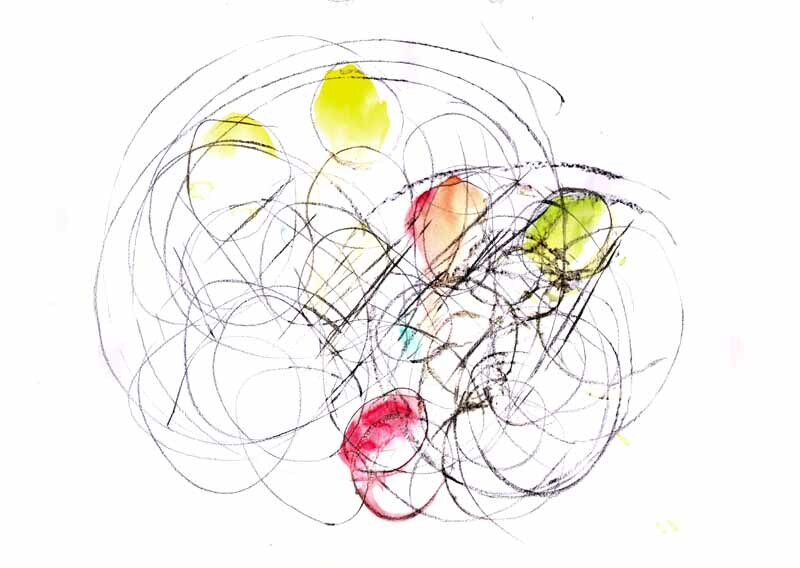 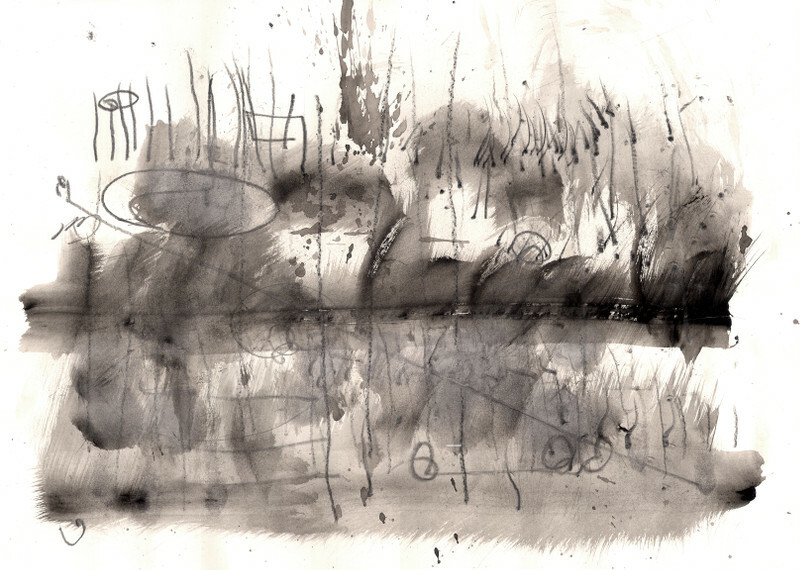 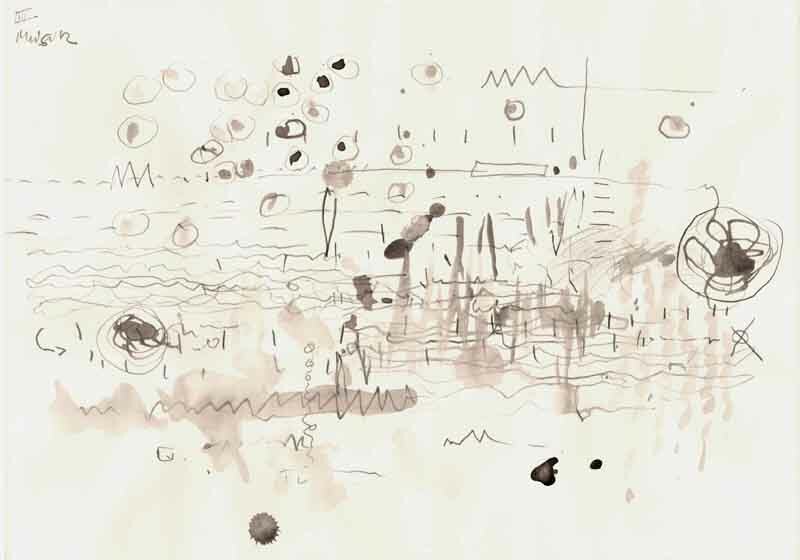 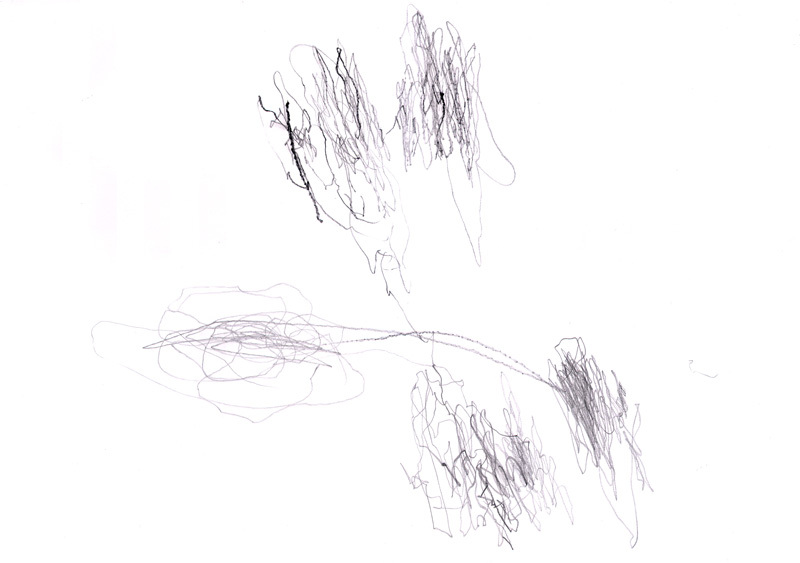 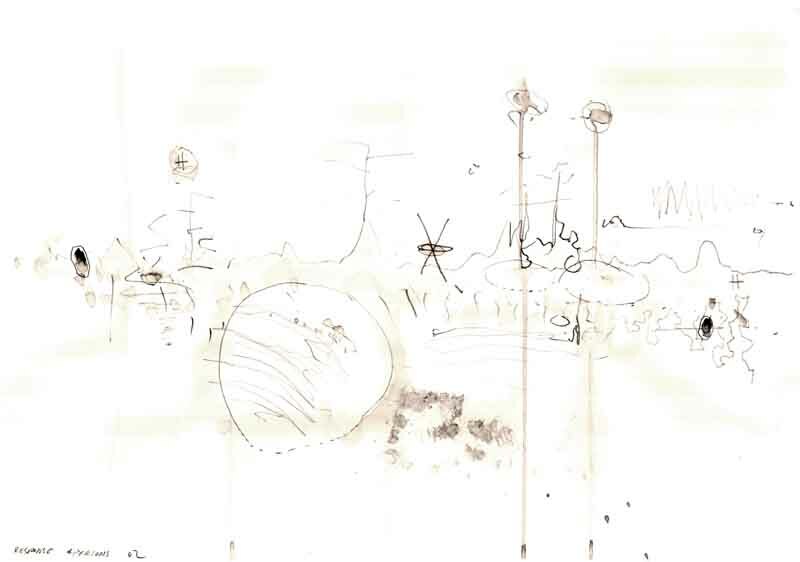 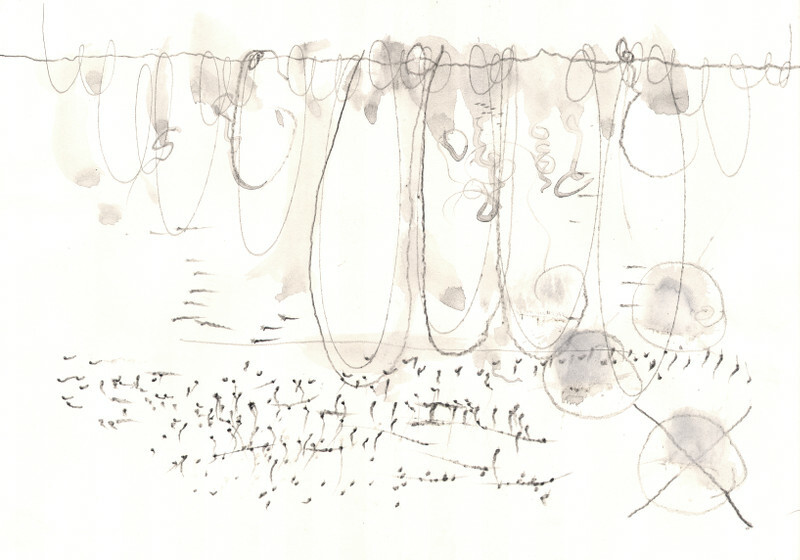 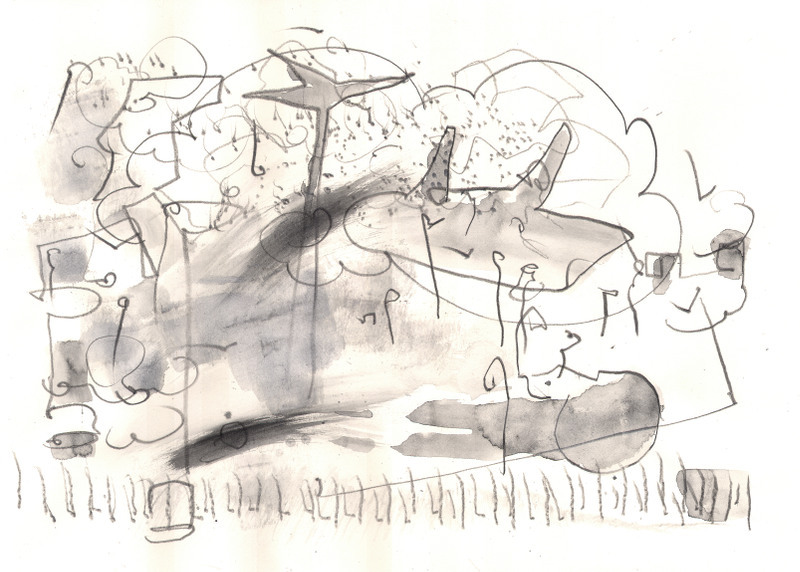 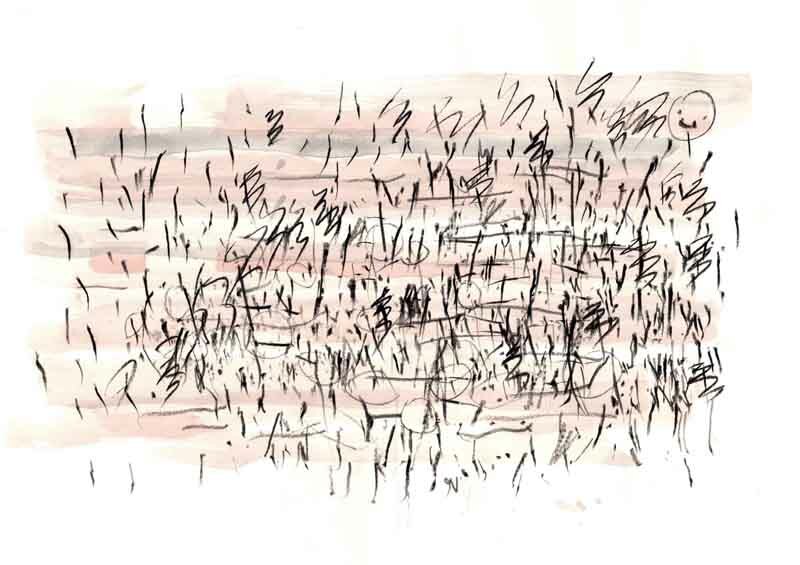 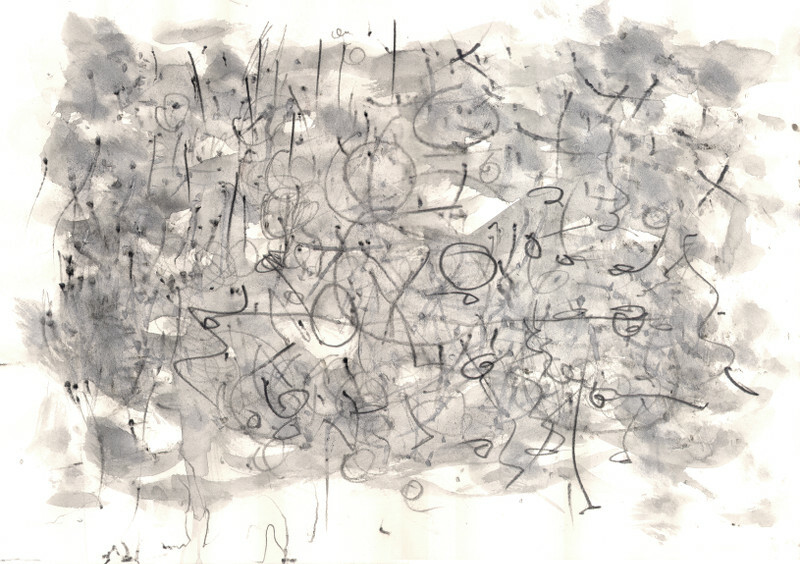 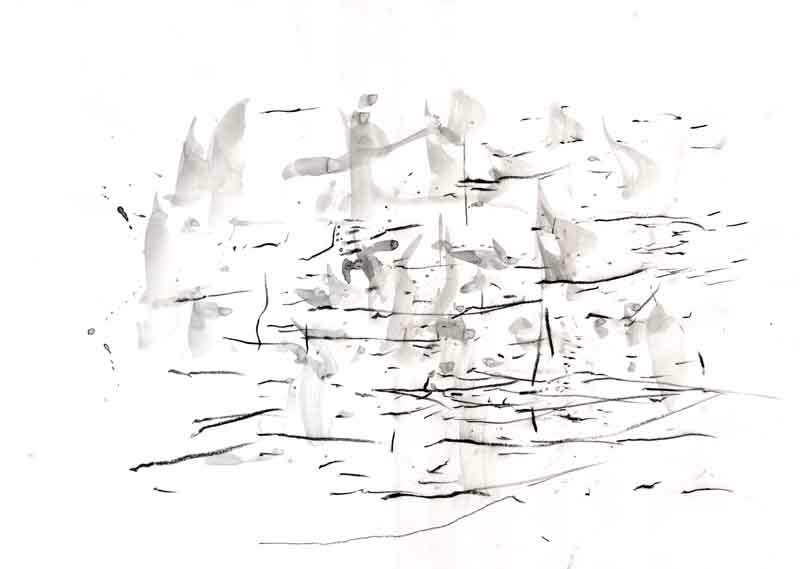 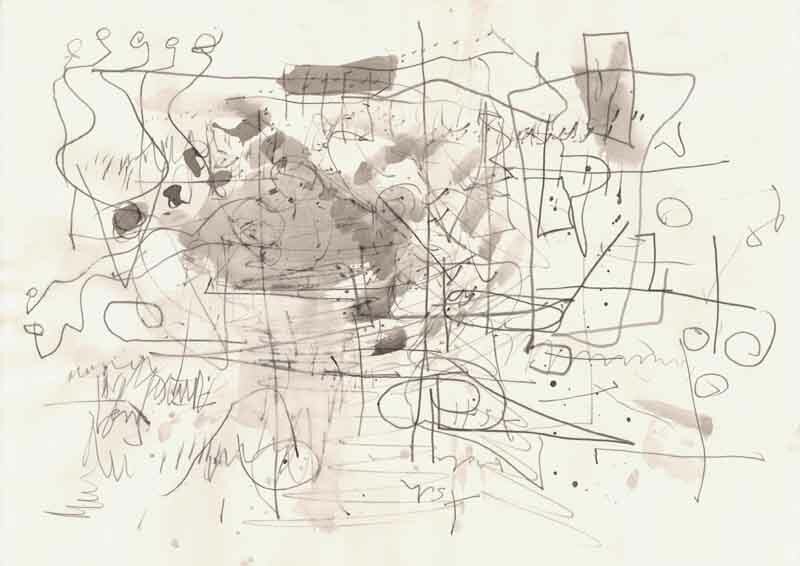 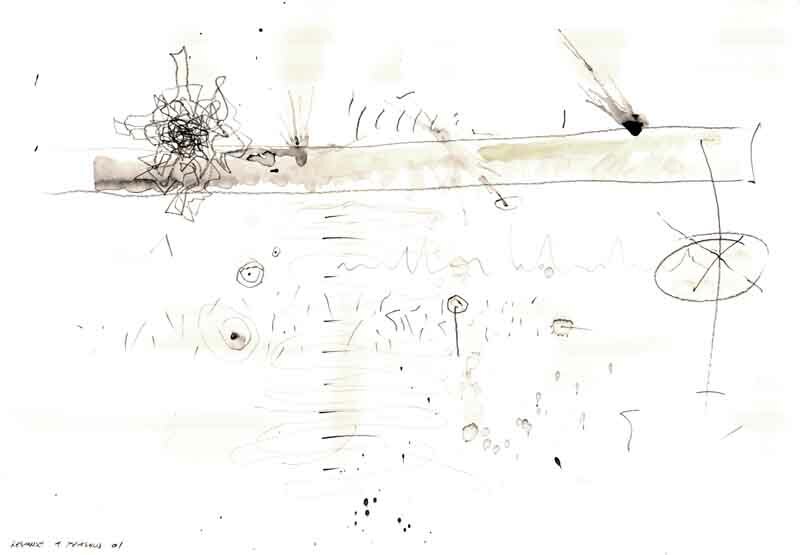 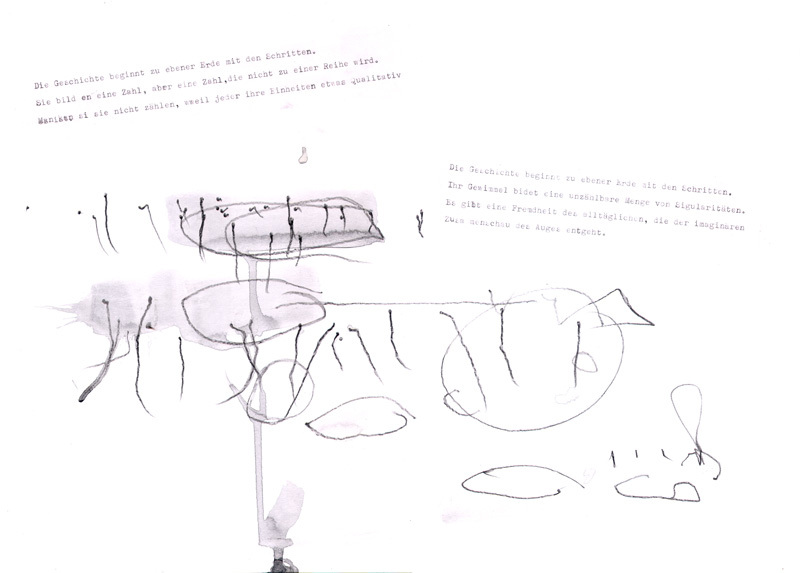 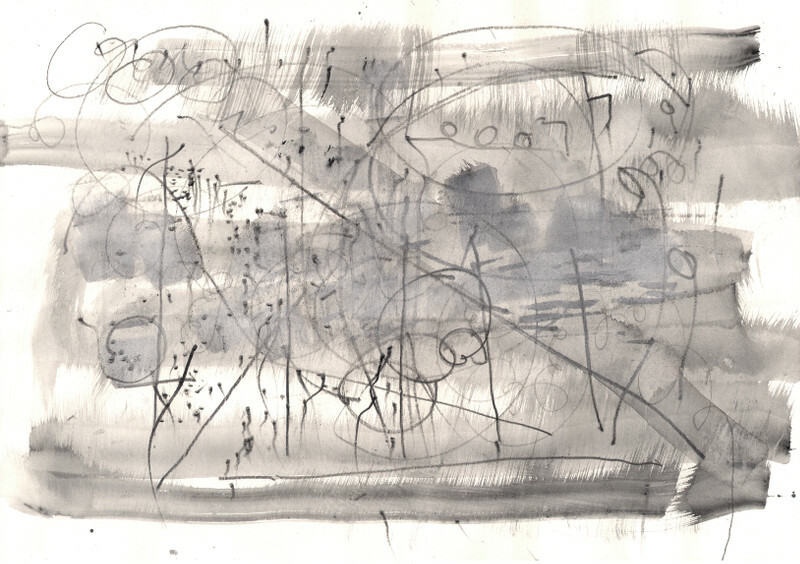 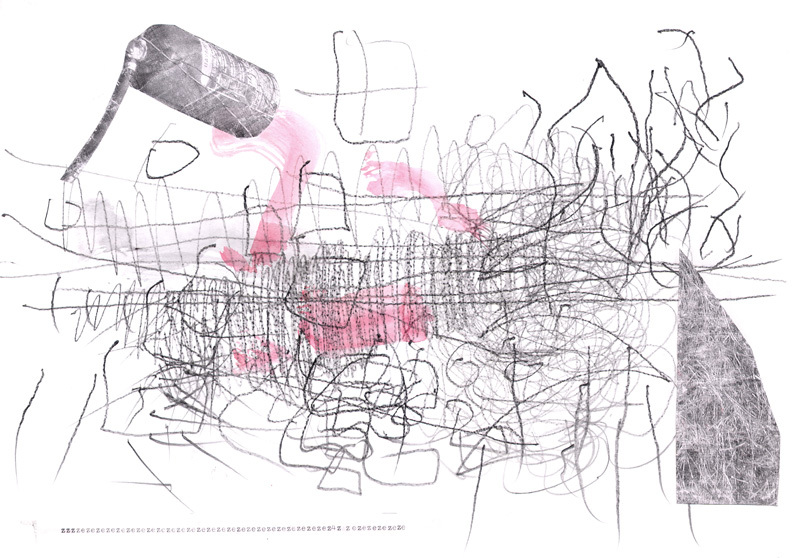 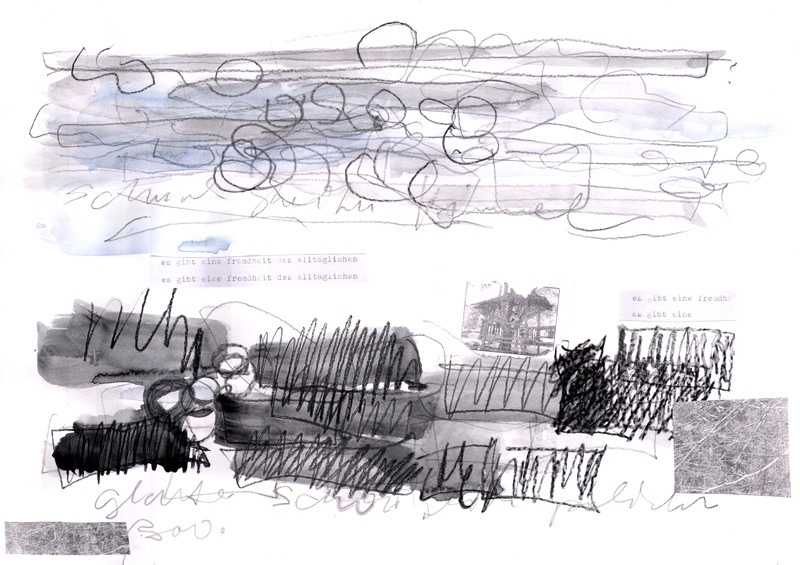 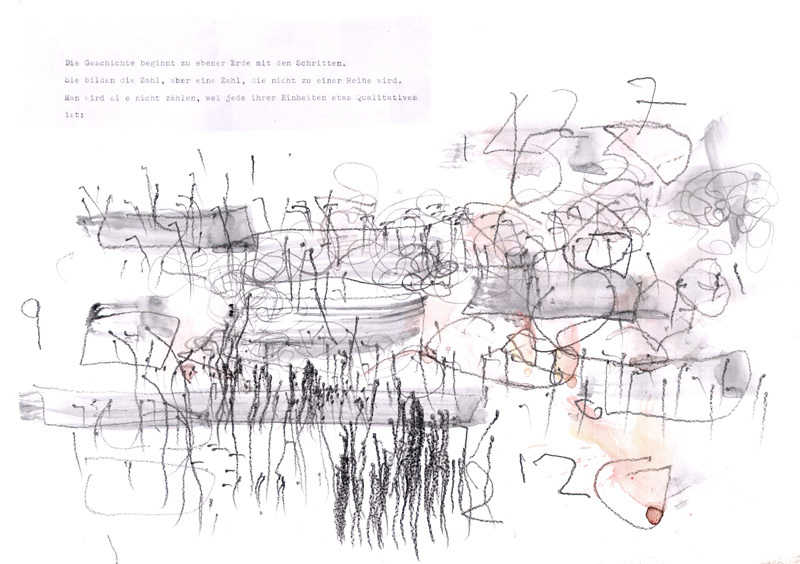 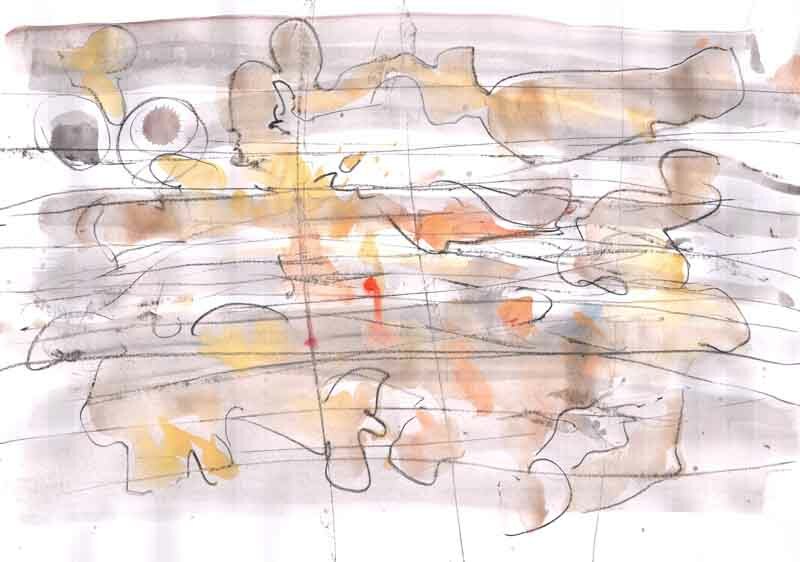 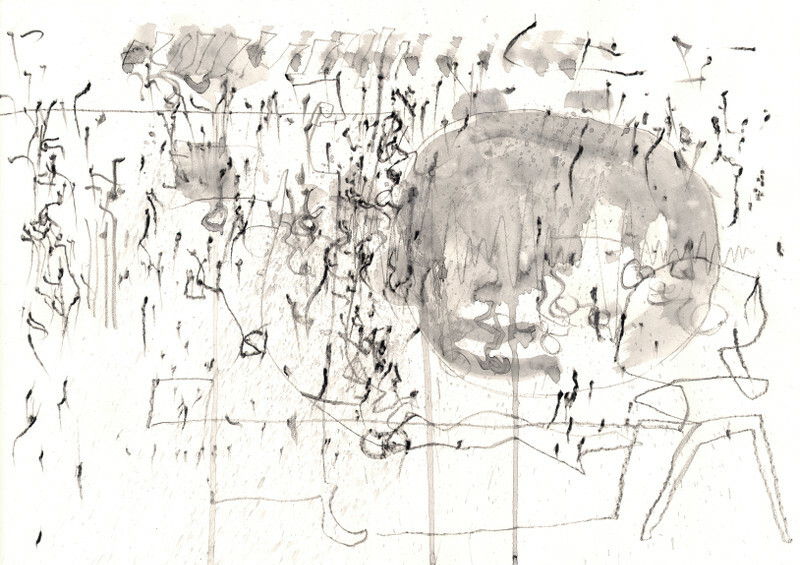 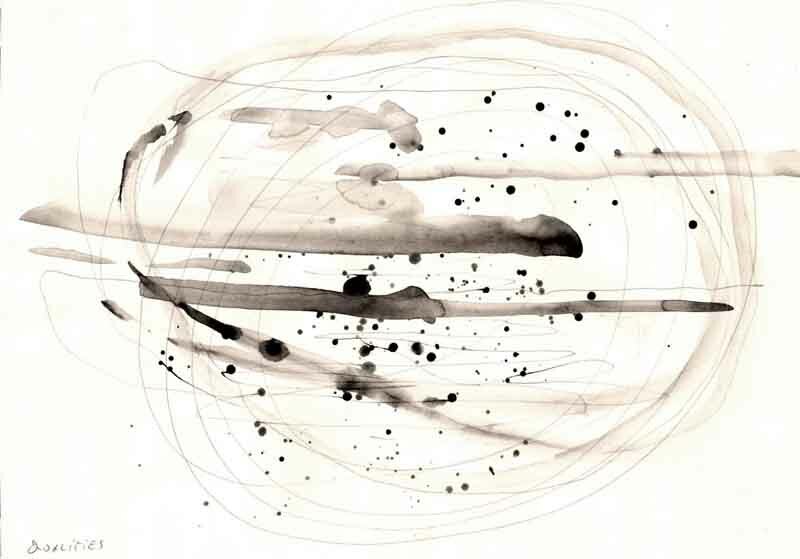 Drawings from the rehersal for the performance „zwischenzwei.fluss“. 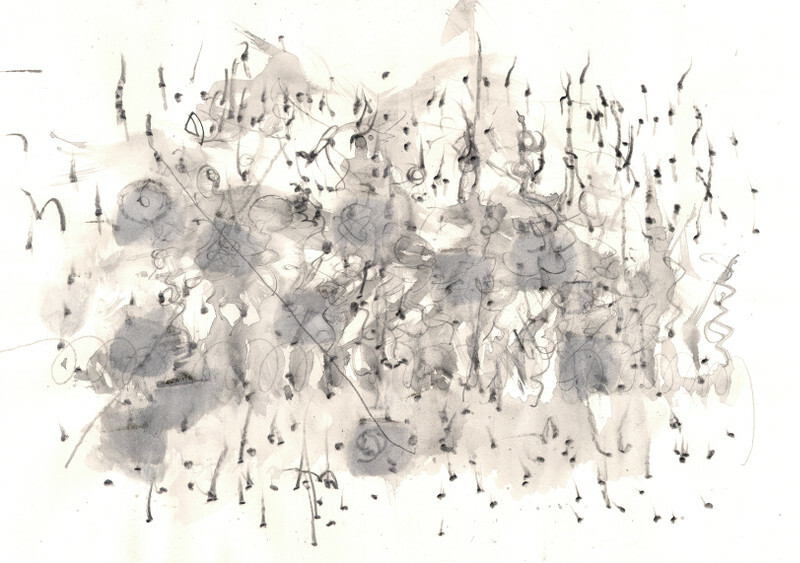 with three dancers, double bass and violin.